Hello again to all of you Square Dance Callers, Round Dance Cuers and Dancers where ever you might be. 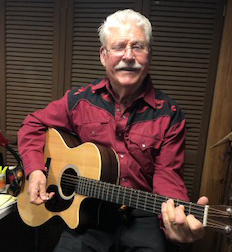 We thank you in advance for taking time out of your busy schedule to check out what is going on in our little corner of the square and round dance music business. This letter will feature the different songs that might fit into some of your theme dances. Note: you may purchase any Coyote and TNT music and have it instantly downloaded at www.coyote-tnt.com on the TNT or Coyote music pages. By clicking on the Buy links below you will be brought to our website where you can hear just the music, view videos when available, and see any cue sheet before you make your purchase. Let’s get started by listing our newest releases. Check out all six of our videos on our web page and in this newsletter. Three of the videos are our featured songs; Georgia On My Mind, That's Life, and Just a Little Talk With Jesus. Just click on the video icon to view. OTHER MUSIC - On we go with lists of songs that are available for theme dances. Two years ago I recorded this album at Circle Left Studios located in Spring Hill, Tennessee. Spring Hill, TN is a town just out of Nashville so the studio gets the best pickers to work for them. There are 22 tracks on the CD. I sang on the first 11 tracks and the other 11 tracks are for karaoke use. I use the karaoke at party dances and between tips at my dances. 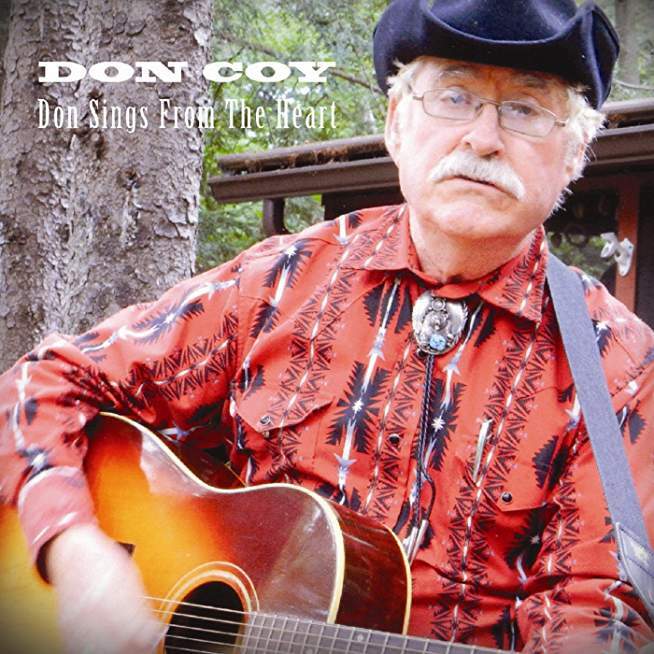 This music can be bought right from the Coyote-TNT web site by clicking onto the Don Coy CD button, or from Amazon and iTunes. You can also get the CD directly from me. Just contact me by phone, email or text. The cost direct to you is $8.00 which includes shipping charges. There is no new music recorded on vinyl and we as callers should be thankful for that change in our vocation. Music is at our finger tips. There is no need to carry cases of records around. If we need a special piece of music we just go to the computer and get a download. There is no vinyl that we have to keep out of the sun because it would warp. No more skipping or scratches. No more looking for that special song when it’s buried under 25 records. Our biggest worry now is hoping we have the right cord for the computer or is the computer charged. Music streaming is here to stay and you have so many good music producers to get your music from. Thank you so much for letting Coyote & TNT be a part of your music plans. We really appreciate your business. I recently destroyed a lot of vinyl and I sang this tune as I was doing it. I used the melody from Where Have All The Flowers Gone. No they will never return. Those of you who subscribe to American Square Dance can check out the newest Coyote and TNT offerings shown in our ad on the back cover. Below is the ad for March. Once again a big thanks to Gardner for getting the newsletter together and also for doing our videos. Also a big shout out to Lawrence Johnstone for making the Coyote-TNT web sight easy on the eye and ready for video. Copyright © 2019 Coyote Records / TNT Records, All rights reserved.